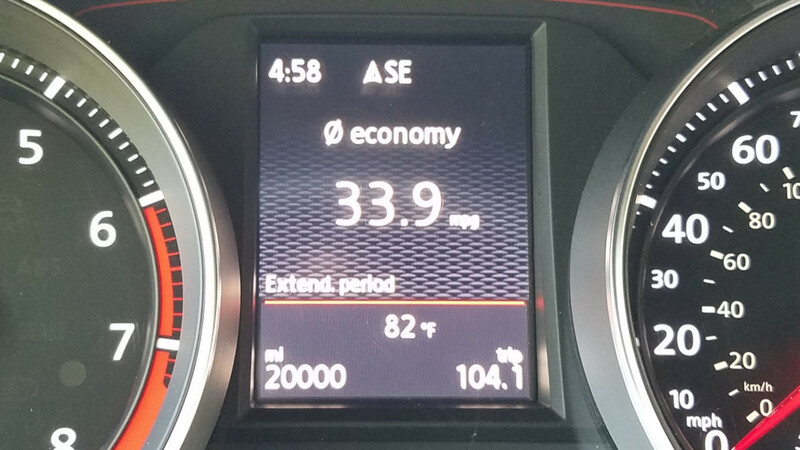 Seven months of GTI ownership has passed; I’m now at 20,000 miles. If you’ve read my other blog entries, then you know that I’ve been fairly busy with some modifications. 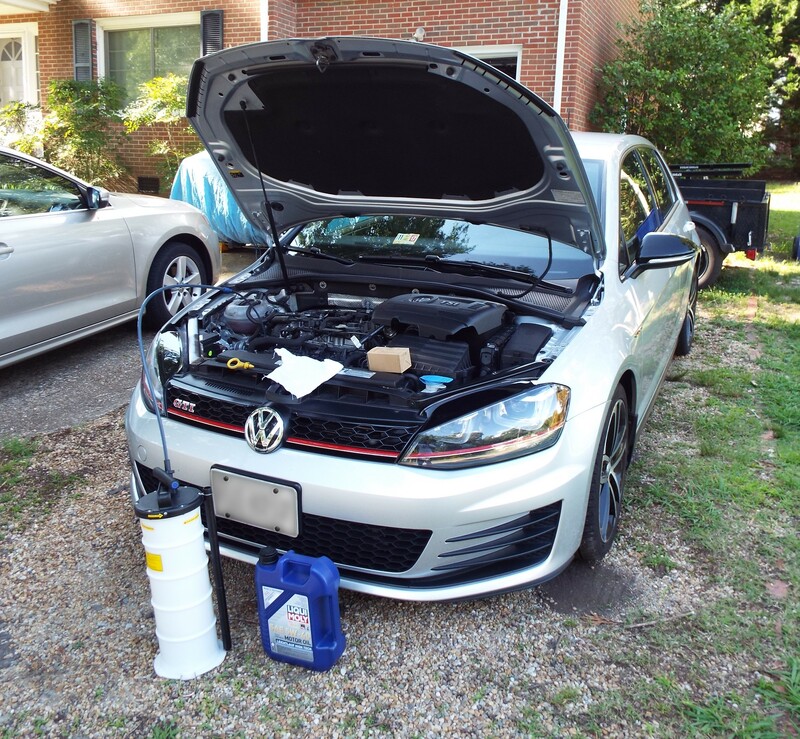 Unlike many VW enthusiasts, I haven’t gone wild with performance mods such as intake, exhaust, a turbo swap, coilovers, or other popular improvements. Instead, my mods have leaned more along utilitarian lines. My efforts include a 3M clear bra, stereo upgrades, a ham radio, a trailer hitch, and (best of all) APR Stage 1. I’ve only been APR tuned for about a month. I did a bit of spirited driving throughout the first tank and a little less during the second tank. The driving was fun and not too bad on the fuel economy, still returning around 29 mpg. Since then, I’ve been driving normally and averaging 32 mpg. It’s satisfying to unleash the extra power from time to time. I don’t drag race, but I think we’ve all been in a situation when more power is a great option. Recently, a Ford Raptor was riding my bumper on a long, sweeping freeway entrance ramp. I’ve seen it a hundred times: The tailgater rushes over from behind to take a lane and block the leading driver’s entrance to the freeway. I saw it coming, the Raptor crossed the painted area to take the lane, and then discovered that he didn’t have what it took to get by (not even close). He sulked for a minute, then he used the HOV lane to blast around traffic and show everyone who’s “faster.” HAHA! I also towed my GTI’s heaviest load over a weekend while supporting a large bicycling event. I loaded my trailer and lowered my rear seats to transport 95 gallons of filtered water and 400 lbs of ice. I had ~750 lbs on the trailer and the rest was inside the car. I drove the load about 40 miles to the venue, spent the rest of the day hauling various loads from point to point, and then returned home with empty coolers and ice chests. The load was almost purely aerodynamic by the end of the day. I averaged 26 mpg for the two days that I hauled the trailer, which isn’t bad when considering that I also did a bit of excessive idling on those hot days. I wrapped up my first 20,000 miles with the car’s second oil change. I didn’t talk about the oil change at 10,000 miles. I’ll share some details here. I subscribe to VW’s 10,000-mile drain interval. I don’t drive it hard enough to compel me to use a shorter drain interval. I use Liqui Moly Leichtlauf High Tech 5W-40 engine oil and OEM oil filters. This combination has proven more than enough to last 10,000 miles between drains. I use an oil extractor to drain the oil. It makes the job much faster and cleaner. I’m usually done in 10 minutes. If all goes well, I won’t ever have to worry about mishandling the plastic oil pan plug. I also rotated the tires and gave the inside of the wheels a thorough cleaning. That’s all I can think of for now. I’ll sure to keep you posted on new developments. 4 Responses to 20,000 Miles! I remember you from the TDI Forum where I lurked lots from time to time. Bing lurking, I suppose. Thanks for continuing here. If all goes well, I will be trading my Golf TDI for a used GTI coming off lease in a bit less than a month’s time. I want to begin looking after oil changes myself. I remember a discussion of oil extraction on the TDI Forum, but I found myself too busy. I’ll be retired soon, and while I won’t have any more time, I need to make time for some things like oil changes. Do you mind telling me what oil extractor you are using and if you are satisfied with it. The only one I’ve seen (without my looking) in Eastern Canada claims to take 30 minutes, which seems a bit long. Great post. I’m glad that the GTI is working out so well for you. I’m especially interested in the part where you wrote that you don’t miss the TDI even a little bit. 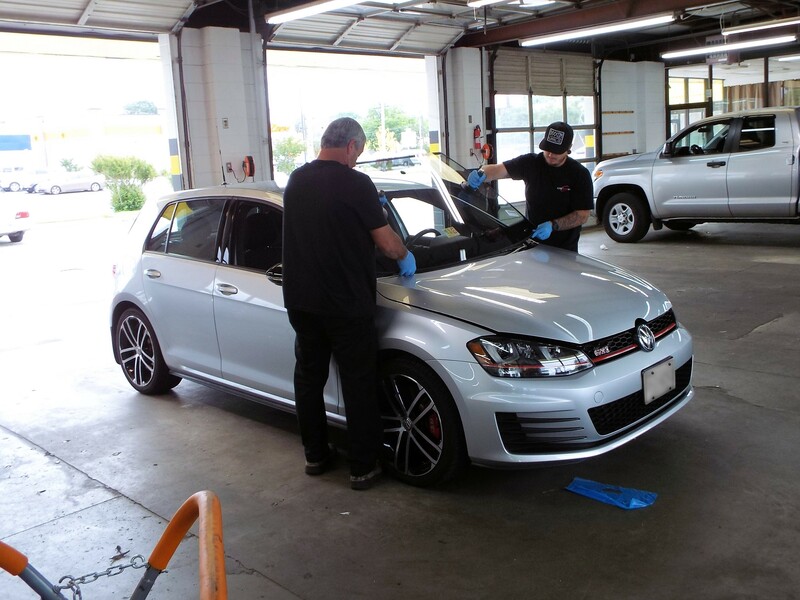 I replaced mine with a MK6 GTI and my experience hasn’t been the same. In fact I’ve been thinking of going back to a TDI. Now I’m wondering if I should be driving a MK7 before I make that decision. The MK6 is a nice car but there is nothing special about it. It is certainly faster and handles better, but there is something about it that is keeping me from loving it. The power delivery is slightly jerky feeling to me. And unlike my beloved TDI the power doesn’t really come on until 3k RPM. It pulls great at the higher RPM’s, but I miss the low end grunt. Maybe the MK7 is better in this respect? I also dislike the gearing of the MK6. Despite an extra gear its turning 2500 RPM or so at 65 MPH…in 6th gear! Maybe its just below that but 6th gear seems much to close to 5th gear for my liking. The mileage hit isn’t a big deal to me, but I do hate pumping premium fuel just because it costs so much more than RUG and D2 for that matter. It doesn’t really matter financially, but I enjoyed my high TDI mileage just because it was so practical. I’ve always felt like I was having my cake and eating it too with the TDI. Now I have to decide whether to keep the MK6 GTI, put some $ and love into my MK4 TDI, or pursue something else….MK6 TDI maybe (Gen 1 buyback with fix?) or maybe look into a MK7. Decisions decisions. Happy motoring and keep the updates on your GTI coming! Thanks for the note, Adam! 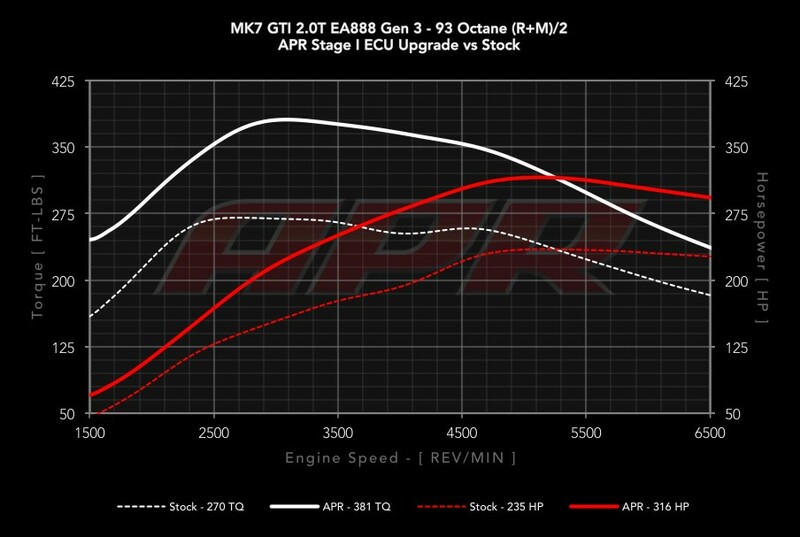 I’m sure there is room for debate regarding the quality of the build between Mk6 GTI and Mk7. I don’t think I’ve ever been in a Mk6 GTI, so I cannot comment. But the Mk7 engine itself is head and shoulders above the Mk6 and even the 2.0Ts offered in VW’s latest other platforms. I think it’s the same 2.0T that’s found in Audis. I *think* VW intentionally set the Mk7 GTI apart from the other VWs to keep people flocking to it. The Mk7’s Gen3 2.0T responds to a tune in a way that eclipses the Gen1 found in your car. Feel free to look me up if you’re ever in SE Virginia. I’ll take you for a ride!